If you live in Ohio and are interested in becoming a truck driver, it’s important that you find the best truck driving school in the area. This way, you’ll be assured that you’re getting top quality training that will fully prepare you for the commercial driver’s licensing exam. We’ve compiled some information today to help you get acquainted with the process and to find the best truck driving school in Ohio for you. A great school will meet all of the current curriculum standards. That is, they will provide all the information you need to know to pass the CDL licensing exam. When you spend money on training like this, you need to know that it’s money well spent. You don’t want to walk away from a course unprepared to take the exam or to be a truck driver, so do your research. The best truck driving schools in Ohio will also offer many funding options. There’s no reason you have to pay out of pocket, at least in full, for your CDL training. Most schools offer financial assistance at least in some form so you don’t have to jump over that monetary hurdle. Some schools in Ohio offer tuition reimbursement or even on-the-job training. This makes it possible to attend class and get the training you need without having to save up first. It’s a pretty great deal, really. The prospect of searching through tons of truck driving schools can be daunting at best. That’s why we’re here to help you. 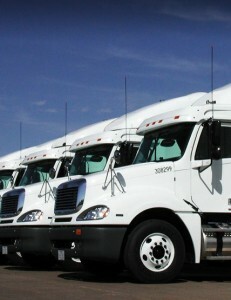 Just visit us at CDLOhio.com or give us a call at 1-800-TRUCKER today. We’ll find the best truck driving school in Ohio so you don’t have to!